An exciting addition to the “Horrible Histories” series, these titles will tackle all the hot historical topics in a new full-colour format with durable cover. Beginning with the perennial favourite Pirates, they’re all the Horrible History a reader needs in one handy little handbook. Twisted tales from Western culture’s most enduring myths and legends – told the Horrible way! From bloodthirsty Bible stories to the gruesome Greek myths, get ready to say eeek! Rollicking Roman adventures from star author Terry Deary, of Horrible Histories fame. Take a trip to Ancient Rome … and prepare for excitement! 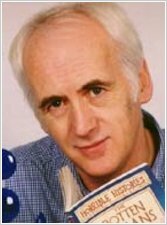 Lively Egyptian adventures from star author Terry Deary, of Horrible Histories fame. Take a journey down the Nile … and prepare for excitement!